In working with local governments and redevelopment and housing authorities over the years to help to address neighborhood revitalization opportunities, I realized the need to develop a quick guide sheet to visually depict the level of intervention necessary to address deteriorated and blighted housing. The attached document, “Neighborhood Revitalization: Levels of Intervention – Conceptualized,” provides a convenient way to view a neighborhood block (consisting of 20 lots measuring 25 x 100 feet) experiencing deterioration. While the configuration of blocks and lots in your older urban communities may differ somewhat from the diagrams, the overall intervention model still applies. You’ll notice the model outlines three levels of intervention – minimal, revitalization and redevelopment. In many cases, blocks involving one or two deteriorated housing units will require minimal intervention that may be addressed either by the market through investor purchase or by voluntary community action. Such community action might be facilitated through faith-based groups, the Rebuilding Together initiative or Habitat’s “Brush with Kindness” program. This week is your last chance to register online for NeighborWorks' symposium "Engaging Customers and Community through Social Technology" co-sponsored by NTEN: The Nonprofit Technology Network. Register before April 15. Communities across the country are making roads safer and more accessible for everyone who uses them, and more communities are using these strategies now than ever before. The Best Complete Streets Policies of 2012 examines all the policies passed in the last year and highlights some of the best. In continuing my conversation with Katherine Carroll “KC” McGurren, Executive Director of EarthCraft™ Virginia, KC discussed current and future advancements in sustainable energy efficient construction. 1. 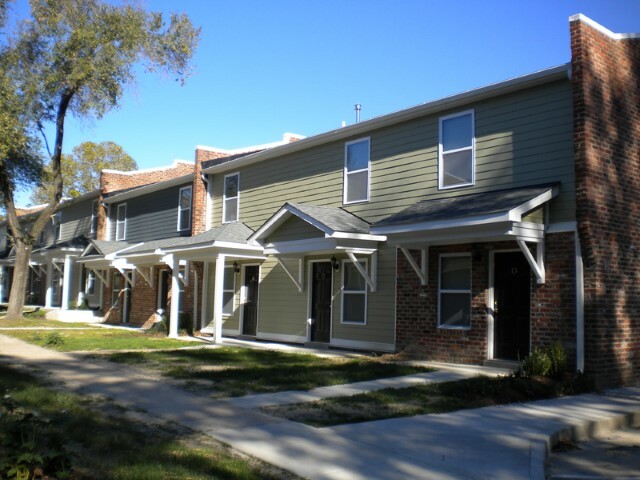 Give us an example of a multifamily development that went beyond the expectations of EarthCraft. 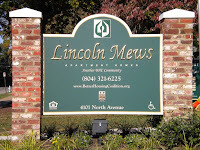 Several project teams have successfully gone above and beyond their expectations, but one outstanding example is the Better Housing Coalition’s Lincoln Mews. Prior to its redevelopment in 2008, approximately 65% of the development’s 245 affordable housing units were vacant and in disrepair. With the help of VHDA and architectural guidance from Community Design Studio, the project was able to begin a rigorous renovation. After the improvements were made, the project achieved an overall energy-efficiency improvement of 60%. As a result, the tenant’s utility bill was reduced from an average of $150 to only $45 a month! The property features Energy Star windows, high efficiency on demand water heaters, high efficiency HVAC equipment and quality insulation, all of which greatly reduced the utility bills of the tenants. They also thoroughly sealed the building’s envelope and ducts to prevent air infiltration and leakage. with energy-efficient appliances and technology. Recently, I had the pleasure of speaking with Katherine Carroll “KC” McGurren, Executive Director of EarthCraft™ Virginia, to learn first-hand about green building practices and EarthCraft certification standards. Join our conversation below! If you have any additional questions for KC, feel free to post them in the comment section. For a little background information, EarthCraft Virginia is a 501(c) 3 non-profit dedicated to the advancement of sustainable, affordable, resource and energy efficient construction through education and technical support. By working with builders to meet energy-efficiency and green building standards, the organization has successfully certified over 1,850 homes and over 9,000 multifamily dwelling units. EarthCraft Virginia closely partners with VHDA, Southface Energy Institute, the Home Builders Association of Virginia and Habitat for Humanity of Virginia. 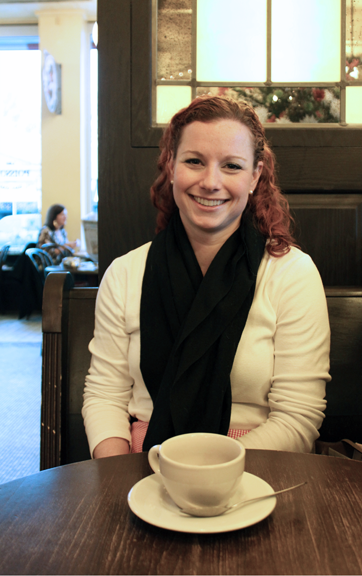 KC McGurren is the Executive Director of EarthCraft Virginia. 1. For our readers, could you tell us about yourself? With a background in policy and planning from Virginia Tech, I worked to obtain hands-on experience in green building. I began my career as a Fellow at Southface Energy Institute in Atlanta, Georgia. During that time, I completed field visits to perform energy-efficiency assessments and worked as a home energy rater with the EarthCraft House program. After completing my fellowship, I joined EarthCraft Virginia as its first employee, eventually assuming my current role as Executive Director. The Virginia Housing Trust Fund is opening competitive applications for two pools of funding: the Competitive Loan Pool and the Homeless Reduction Grant Program. Recently, we received some questions from one of our sister state housing finance agencies about our Mixed-use/Mixed-income (MUMI) financing. It is always nice to respond to something like this, because we are very proud of the impact of the MUMI program. I believe the questions raised and our responses are worth repeating to a larger audience, so I am paraphrasing our exchange below. What led to the creation of the Mixed-use/Mixed-income (MUMI) program? 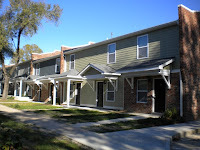 The MUMI program resulted from concerns expressed by VHDA stakeholders and partners about challenges many of our communities face, such as deteriorated urban communities, the lack of affordable housing options near places of employment, increased income segregation in residential areas, traffic congestion, and seniors and persons with disabilities being increasingly disconnected when they are unable to drive. The goal was to address these challenges through people living closer to the goods and services they need on a day to day basis, more efficient use of land and public infrastructure, pedestrian friendly neighborhoods, and encouraging reinvestment and revitalization in existing corridors. VHDA determined that there was a need for a financing product for projects involving rental housing units and other uses important to the community (such as retail and cultural venues). Such projects typically supported local revitalization efforts, yet there are very few lenders in the marketplace interested in considering such properties as a single project (particularly the smaller projects) to provide long-term fixed-rate mortgage financing.